The Technical Education and Skills Development Authority (TESDA) of the Philippines is giving almost 5000 scholarship for our Filipino workers who want to learn writing and speaking the different dialects of other countries. For almost 5,000 scholarships and free training that will be given, a grantee could choose to enroll in learning either English, Japanese, Mandarin, Arabic, Spanish, Russian, Germany, and Bahasa. The said organization wishes to help not only our Overseas Filipino Workers but also Filipinos who are working in the country so they initiate with this program. 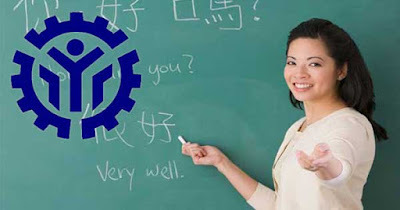 As Deputy Director General for Policies and Planning of Overseas Workers Welfare Administration, Rosanna Urdaneta said that according to one of the studies in America, a person should know at least 2 major languages and their cultures to surely help him easily adopt. In order to avail the scholarship, the applicant must be a Filipino citizen, of legal age and at least High School graduate. The scholarship is a first come, first served basis so even a Filipino who works in the Philippines could apply for it. You should only first register online through the TESDA website (www.tesda.gov.ph) and wait for their confirmation. Original and photocopy of any of the ff: College or High school diploma, transcript of record, training certificate from TESDA registered program, NC/COC issued by TESDA. 3 pcs 1x1 and 2x2 photo with white background. Where is the tesda here in cavite ? do you have a german language course? How to register through online? I already open the website of TESDA pero diko alam kung paano mag start. Pag ni click ko yung unang choices ang daming lumalabas. Sana po matulungan nyo ako. Salamat po.